← “Whispers in the Wood” now in New Pop Lit! Heading to the RI beaches this summer? Even poets get the blues on August 9! 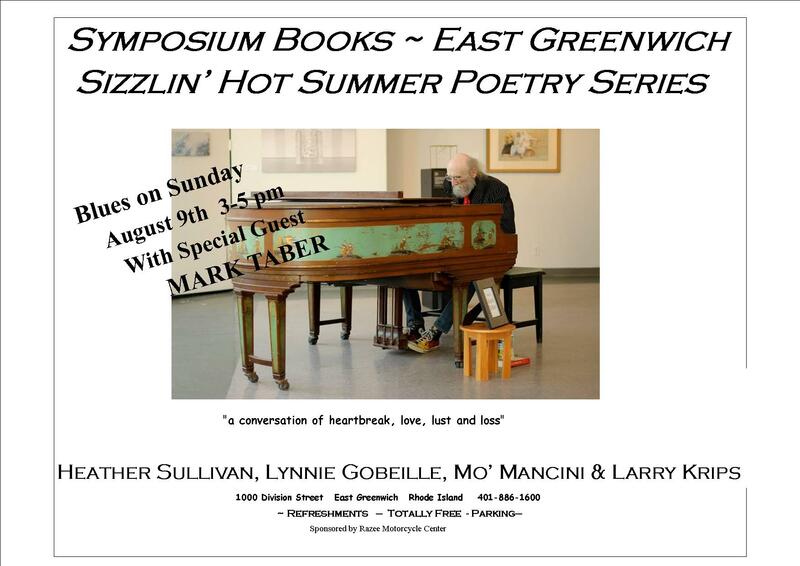 Close friend poet Heather Sullivan will be participating in the Sizzlin’ Hot Summer Poetry Series: “A Conversation of Heartbreak, Love, Lust, and Loss” with fellow poets Lynnie Gobeille, Mo’ Mancini and Larry Krips on Sunday, August 9, from 3 p.m. – 5 p.m. at Symposium Books in East Greenwich. The reading will be paired with Blues on Sunday featuring a special guest —jazz musician Mark Taber. 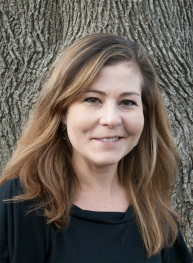 Heather and I have known each other–and ridden this crazy horse called Writing Life–since 1993. Her collection, These Onyx Hours, was published in 2014 by Finishing Line Press. You can order her collection, watch the trailer for it and find out more at http://poetheathersullivan.com/. Posted on July 26, 2015, in Events, The Writing Life and tagged Blues music in Newport area August, Larry Krips, Lynnie Gobeille, Mark Taber, Mo' Mancini, music and poetry summer events, order poetry book Heather Sullivan, poems by Heather Sullivan, poetry readings in Rhode Island, Razee Motorcycle Center, Symposium Books East Greenwich RI. Bookmark the permalink. Leave a comment.